734 San Julian St, Los Angeles, CA 90014. After the phenomenal opening of its flagship factory and store at the Ghetto Biennale in the Grand Rue, of Port Au Prince in December of 2009 MADE IN HAITI (MIH) has become a style destination in the repurposed garment market, POP UP SHOPS have appeared in West Hollywood, California, Madison Wisconsin, and Portland, Oregon. 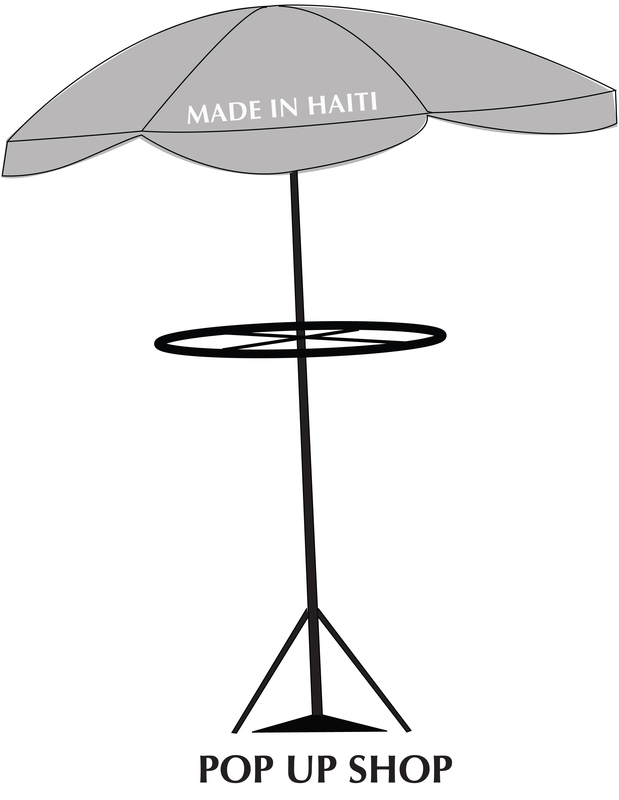 MIH is a grass roots garment and accessories production company, based in Grand Rue of Port Au Prince Haiti. Founded in December of 2009, by Frau Fiber textile worker and activist and currently operated by CF Bazile. MIH addresses the global rag trade by repurposing Pepe (second hand garments) into dresses, t-shirts, aprons, lap top covers, messenger bags, back packs, employing honorably paid labor of Haitian tailors and artisans. The recent opening of the Etsy store in has established it as one of the most successful repurposed apparel lines, employing two tailors, translator / manager and 5 t-shirt artists.